For parents who love to travel, having a baby bassinet is often a painful process. There are cots and bassinets that are foldable and somewhat portable, too. But what we are talking about is next-level handiness and portability – something that is designed for travel and fit those demanding needs. We have just the right solution for you. KidCO Travelpod Portable Bed does what it claims. It keeps your baby energetic and relaxed even on a tight travel routine. Ideally, you would want your little one to be energetic and in a playing mode (unless she is sleeping) in that cot. KidCo Travelpod makes this dream a reality. Thanks to its modern design and ultra comfortable materials and padding. 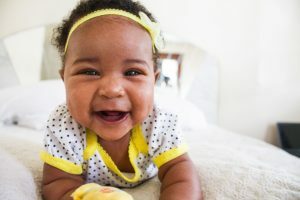 If your baby is cute, we bet she is going to look cuter in this bassinet. Portable play yard that can be easily set up anywhere. All you have to do is unclamp a few locks, fold it, and then set it up anywhere you like. 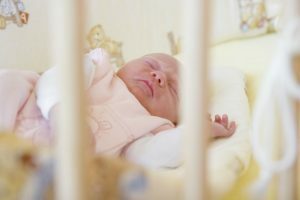 When you talk about a play yard type of a bassinet, you want it to be firm and secure. The KidCo Travelpod is built with the finest steel, making the overall structure extremely reliable. Can be assembled in less than 2 minutes. The entire structure is covered by a soft, cushion-like material, which adds to the overall comfort and looks of the KidCo Travelpod. The entire bassinet is waterproof and can be easily washed. Four-sided mesh enables non-stop airflow to keep the baby inside at a comfortable temperature. It also lets the parents keep an eye on the baby and interact with at all times. The mattress on this cot is comfortable and can be detached easily to be replaced with play yard sheets. KidCo TravelPod is all pros. Below, we have identified some major ones. Available in different combination of colors. An ideal height for newborns. Encourages the little ones to sit up and then stand quickly. All the materials used are safe for kids. Has a great height for adults, too. All you need is to get down on your knees and interact with your little one comfortably. The base doesn’t leave behind any scratches on the floor. Can be folded in a matter of minutes. We are still looking for some. 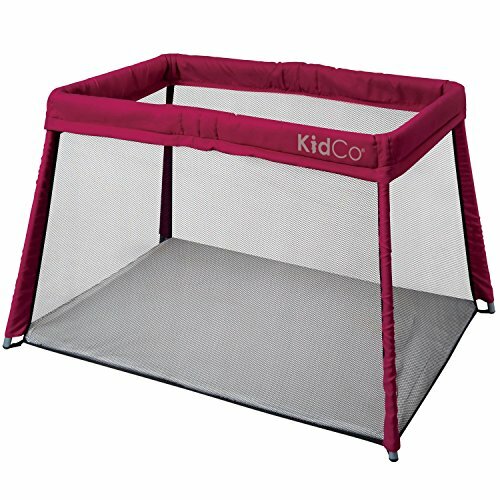 The play yard design of KidCo Travelpod is one of the most unique out there. Most play yards out there either overlook the fun or the comfort aspect. This amazing bassinet, however, is a complete package. It has enough room for when your child seeks fun and is the most comfortable bed for her when she needs to sleep. Just put a few colorful toys in there and watch your baby get busy for hours. The whole structure takes less than a minute to fold and less than 2 minutes to reassemble. We are sure traveling parents are going to love it. The best thing that we liked about this beautiful bassinet is that it urges your child to be more active. When inside it, she is more eager to learn to sit up and stand than other babies. And believe us, when standing by that beautiful, airy mesh; you might want to hold on to your DSLRs to capture that perfect moment. KidCo Travelpod is not just perfect for kids but adults as well. We are talking about the height here, as it is an ideal one if you want to interact with the baby inside. It is hard to keep things tidy if associated with babies. This is not the case with Travelpod. The entire material is waterproof and can be easily washed at home. Even the detachable mattress is washable. 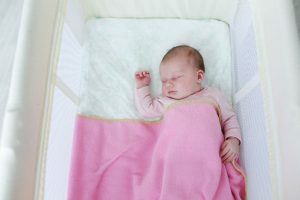 The overall weight of the bassinet is around 10 pounds, which makes it one of the lightest available cots in the market. The KidCo Travelpod comes with a nylon hand carry. When folded, the entire play yard can be adjusted into the bag conveniently. To be honest, there is hardly anything out there that can be compared with the features and looks of KidCo Travelpod. 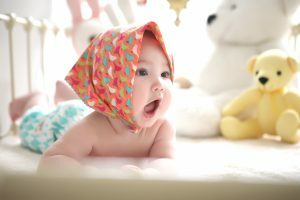 It offers great value for money and lots of care for the newborn. If you travel a lot and have a little one at home, this baby bassinet is a must-have. It is a unique blend of mobility, comfort, and style. One of the best features about this play yard for your little one is that it can be taken and set-up anywhere. Whether you’re at a BBQ party or just relaxing in your backyard – KidCO Travelpod Portable Bed is your best companion.